Silvertown was swallowed by fog and disappeared from the face of the earth 100 years ago. Search for a town consumed by fog! 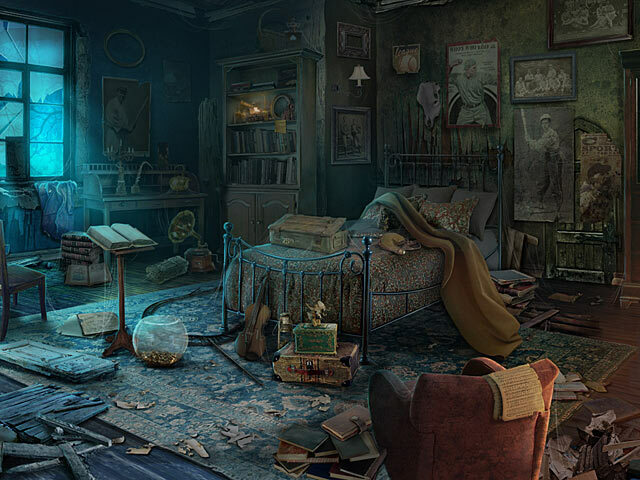 Unlock forbidden doors and uncover mysterious items in this thrilling Hidden Object Puzzle Adventure game! 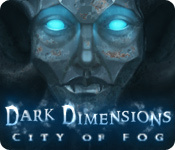 Dark Dimensions: City of Fog is rated 4.1 out of 5 by 89. Rated 5 out of 5 by jewel_43 from Excellent! Daily Magic games have done it again! This game was riveting from the word go! I have to admit it did take me several attempts to get things right but I have finally finished the game. The puzzles in the game were a bit on the tough side and I tended to use the 'skip' button a bit. Also the Hidden Object Scenes were quite challenging and made you look harder. Graphics were great...also the story line was good and the kind of thing I prefer in this type of game. All in all an excellent job and I can't wait for further Hidden Object games from this developer ! Rated 5 out of 5 by pennmom36 from Dark Dimensions: City of Fog SE Lillian and William were about to be married in Silvertown, Maine, in 1896, this would be the wedding everyone will be talking about, a beautiful wedding for a beautiful couple. James has loved Lillian from afar, she barely knows he exists, unfortunately James vows that if he can't have her nobody will, thus a tragedy ensues and brings forth the Dark Dimensions. The Dark Dimensions feeds on tragedy and ill will it is capable of consuming whole tows with it's thick black fog full of demons and ghosts. The town of Silvertown is gone forever.....or is it? 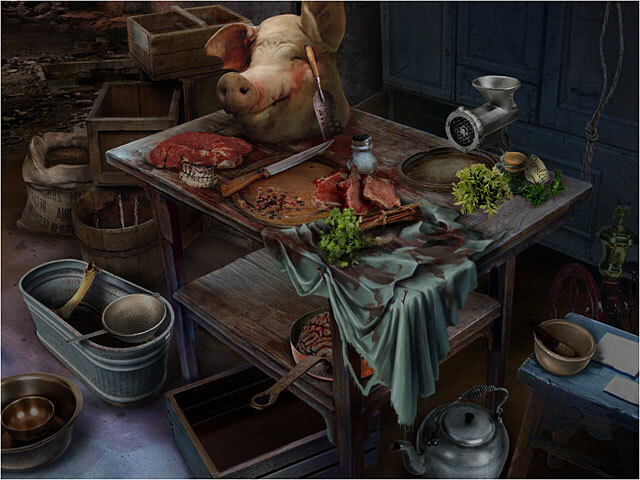 The Hidden Object Scenes are some of the best and most fun. Some items require interactions such as clicking on a book to open the book and reveal a key. Other items you find are kept in the tool section of the inventory bar which will be used back into the scene such as finding scissors and using those scissors to snip the bow off of a shoe. There are plenty of mini games, some easy, some a wee bit frustrating such as clicking on the red eyes of multiple snakes on Medusas head until all the red eyes turn blue, when you click on one snake eye, others change as well. I have yet to play a Dark Dimensions game that wasn't over the top, superior game quality, beautiful graphics, epic music and entertaining games available. The Collectors Edition has music soundtracks, concept art, wallpapers and that wonderful built in Strategy Guide. Either version in my opinion is a great decision, enjoy! Rated 5 out of 5 by methosfl from LOVED it! This game was an absolute blast!!! Great storyline, beautiful graphics, plenty of challenge. Plenty of HOS that were light and bright and easy to see if not easy to solve...some very clever placements that really made you work for it. Lots of mini-games, no 2 alike, some so easy you think it must be a trick and others that really make you think (there's a train track one I did just finally skip). I don't generally like to-ing and fro-ing but this did it in a way I just didn't mind. There were so many different places to go that it didn't feel repetitive. And you would carry just enough in your inventory that you had to stop and think, "hmm where did I see that, oh yeah!" There were some glitchy bits with the music and sound which was too bad because they really did add to the creepy factor of the game. Good ending with a nice wrap up...all in all just a wonderful game. Rated 5 out of 5 by desertsprings from loved it kept me interested to the end....moved into new areas enough so did not get boring....very satisfied....recommend it! Rated 5 out of 5 by CourageAngel from Discover the Truth! You arrive in town, unable to leave, and discover a mystery. A spirit of a young woman begs you for your help in discovering what happened to her...something so evil that it cursed the city. The voices over is wonderful, as are the graphics. I do have to complain about the puzzles/skip button though. Some of the puzzles were very hard for me to solve and the skip button takes a while before you can use it. I did get confused a few times, but the game, overall, was great. Rated 5 out of 5 by FamilyDad1 from UnBelievable! Excellent! Perfect! Oh my God, this game was PERFECT in every single way! The locations were beautiful, clear, interactive, living & breathing, easily navigated, interesting, cozy & each one different from the other (Hotel, Photo Shop, Grave Yard, Train Station, etc...) While at first some of the locations seemed like they were just background, eventually you could find a way to enter them! This was so fun & cool once you discovered the way. The Storyline was Top Notch. Slightly familiar, but with enough of a major twist that it kept things fresh & interesting. There were people to interact with, plus very good voice-overs. This meant you never once got that lonely, solitary feeling. Navigation was a breeze & you almost always knew where to go next. I only needed a couple of nudges later on in the game. There were just the right amount of HOS & all of the objects were fair, clear & easy to find. The HINT system worked just fine & recharged fairly quickly. There were some nice creepy surprises, such as specters in the keyhole, ghosts in the mirror & codes appearing in developed photos. Overall I give this game a Perfect score, a huge jump from the series last "Wax" title. I can't wait to see more greatness from this development team! Rated 5 out of 5 by tooltyme from Fun Hidden Object Game I loved this game. I found it to be relaxing as well as just the right amount of challenge for me. The HOS were well thought out and the Mini games were challenging but not impossible to figure out. The graphics were really good as well as the sound. Keep up the good work BFG as games like these will keep me coming back for more. Now on to the sequel Dark Dimensions Wax Beauty. I hope I get as much satisfaction as this one. Rated 5 out of 5 by catbag8717 from Brilliant!! I absolutely loved this game, it's much better than Wax Beauty Good Parts: A brilliant storyline. Probably one of the best I've ever seen. A great music accompaniment to a brilliant game Some good graphics, very detailed, matching the theme of the game. I loved the Hidden Object Scenes. They were a great challenge and featured some objects hidden in plain sight and others needing an extta step to compelte. Very speedy hint recharge This was one of those games that had no need for a strategy guide as it was obviouswhat to do next OK Parts: The puzzles. The majority of them were hard but there were a few that were good. Bad Parts: Unlike the hint, the skip button took forever to recharge. I absolutely loved this game, and I will 100% recommend it to anyone!